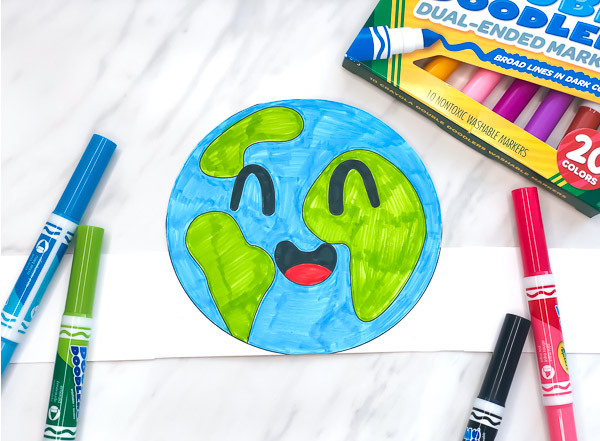 Inside: Download this free Earth Day printable headband to use for your kids or students this Earth Day! 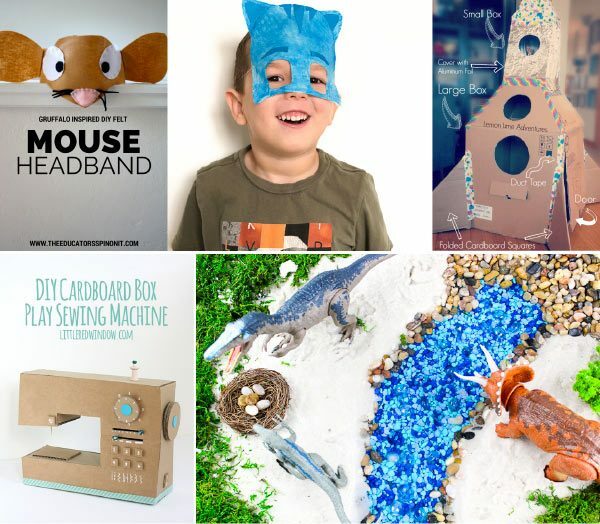 Searching for a fun and simple Earth Day activity for your kids or students to do this year? These headbands are perfect for toddlers, preschoolers, kindergarten and elementary students to color in and celebrate Earth Day. Read on below to see how to download your own copy to use at home or in the classroom. Until recently I didn’t realize Earth Day falls on the same day, April 22, each year. It first began on April 22, 1970 so this year will make it the 49th annual Earth Day! Teaching our children about the environment and keeping our world healthy is a simple but powerful way we can help the Earth maintain its beauty and resources. Of course, we also love doing fun crafts like this festive handprint Earth craft for kids to celebrate! 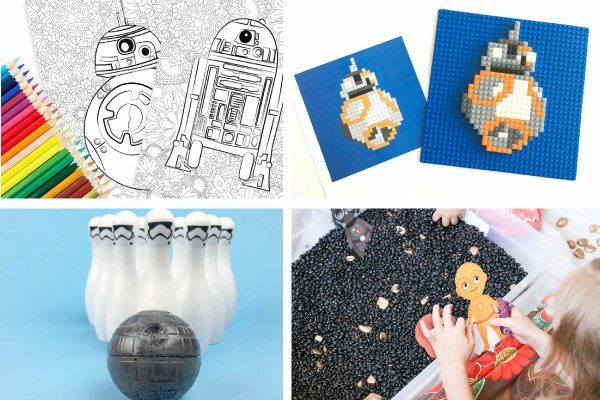 One of the easiest ways to get kids excited about learning is through hands-on activities. 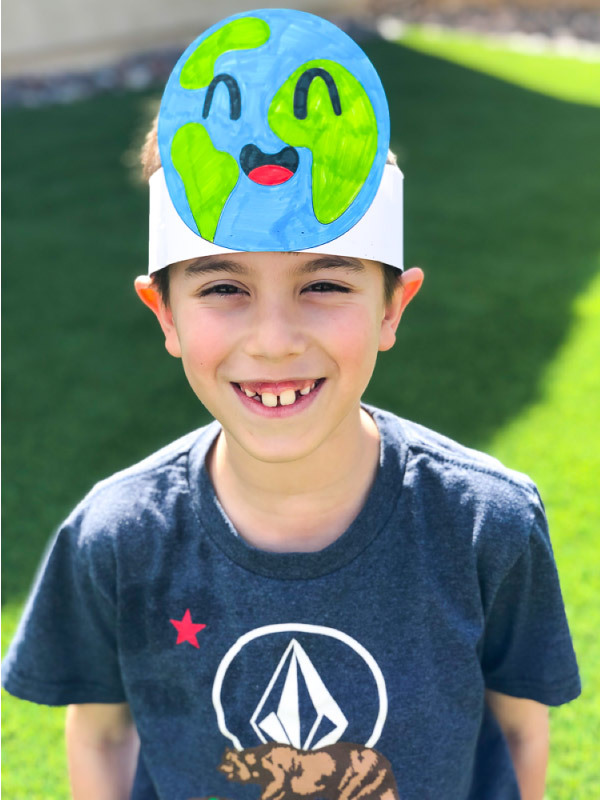 This free printable Earth Day headband is a simple art activity they can do after learning all about Earth Day and the things they can do to help protect the planet. Download the Earth Day headband template and print out onto white card stock. 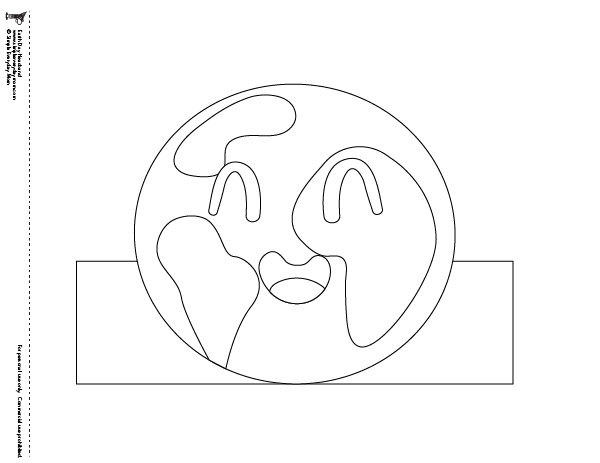 Let your child or students color the first page that has the happy Earth face on it. Cut out the headband along the outer black lines. 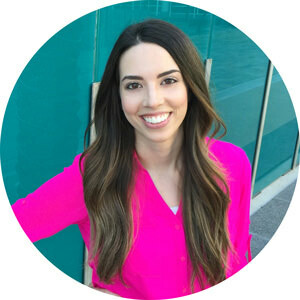 Cut out the extra bands on the second page and measure around your child’s head to see how many bands are needed to make the headband fit their head. Use tape or a stapler to attach the bands to the main headband. 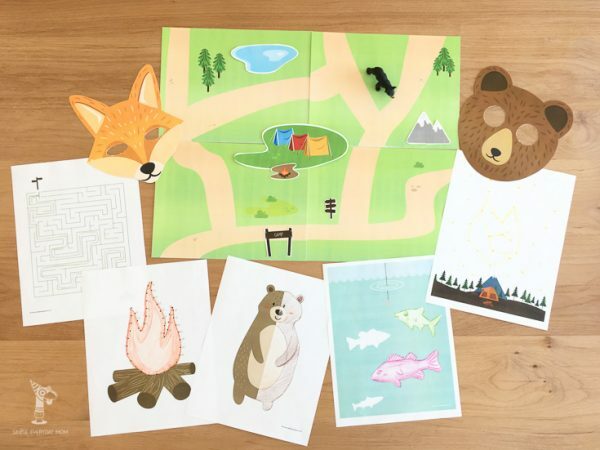 We love coloring pages around here and we’re sure this Earth Day activity will be a hit with your kids too. Don’t forget to enter your email in the form at the bottom of this post to get your free copy of the headband.